When it comes to the importance of exercise, sometimes I can sound like a broken record. I truly believe it is one of the most important aspects of a healthy lifestyle and part of the foundation of your overall health. By failing to adopt an exercise routine, whether with weights or cardiovascular activity, you’re eliminating the chances of maximizing your health no matter who you are. And it’s not just me who believes this. There are countless studies and data to prove that exercise helps in a variety of ways. It helps with circulation and limits the risk of heart attack; it can improve insulin response and ward off diabetes; it can help with weight management; and it can strengthen muscle and bones to combat the effects of aging. And that’s only a small sample of the benefits exercise is proven to offer. A new study is showing that it can also help improve the condition of patients with chronic kidney disease. Chronic kidney disease typically impacts people who are aging by reducing their ability to properly break down and remove waste. While doing this, it can also increase the risk of high blood pressure, cause problems with muscle function, and weaken bones. It’s estimated that one in five men and one in four women over 65 suffer from chronic kidney disease. Currently, there is no cure, but it appears exercise helps by reducing inflammation and strengthening the immune system. Furthermore, activity helps to promote an active and healthy heart to combat the risk of heart disease and other infections. A research team in England tracked a group of patients with chronic kidney disease who were instructed to walk for 30 minutes a day, five times per week for six months. They compared this group to a control group who did not walk. The results showed that exercise increased the immune system’s ability to fight infections and lower inflammation. The anti-inflammatory effects are important to note because inflammation is very closely tied to hypertension and heart disease. By reducing inflammation, the risk of these problems is substantially decreased. Inflammation also causes a person’s immune system to go into overdrive, making them more susceptible to other infections. It appears exercise takes this pressure off the immune system by lowering inflammation and improving overall immunity. Because people with chronic kidney disease are prone to infections, exercise can be a great defense against a host of other problems. In addition to showing the benefits of exercise, the researchers also noted that there was no harm associated with exercise in patients. Patients did not notice added strain on their heart or experience any problems during the trial period as a result of the increased activity. 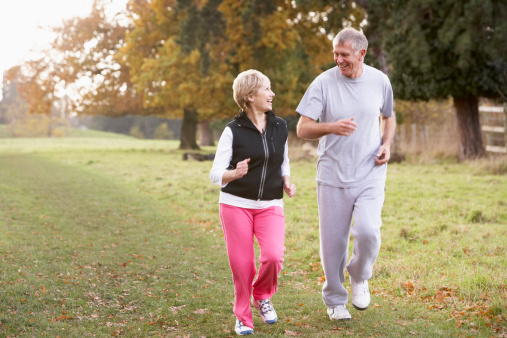 If you have chronic kidney disease, getting some exercise could help you. Start slow by walking at a leisurely pace, and as you get more used to it, try to increase the intensity. Easing into a new exercise routine is always the safest and most effective method. “Kidney Disease, Chronic,” National Health Services UK web site, August 21, 2012; http://www.nhs.uk/conditions/Kidney-disease-chronic/pages/introduction.aspx, last accessed April 17, 2014. Preidt, R., “Walking May Be Good Medicine for Kidney Patients,” National Institutes of Health web site, April 3, 2014; http://www.nlm.nih.gov/medlineplus/news/fullstory_145496.html, last accessed April 17, 2014.